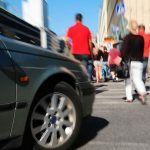 Funeral equipment may be purchased in the shops of the Public Utility Company “Pogrebne usluge”. 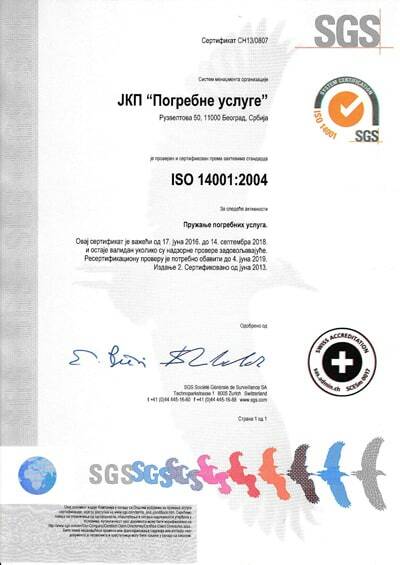 All our services are certified to the highest international standards. See our offer. The field of work of the company: Organisation and undertaking burials, cremations, exhumation, placing of an urn.. 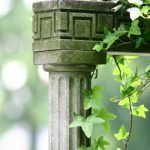 The field of work of the company: Organisation and undertaking burials, cremations, exhumation, placing of an urn, transport of cadavers within the country and abroad, selling funeral equipment, flowers, building and installing of tombs, shelves for urns. Public Utility Company “Pogrebne usluge” is performing transportation services in the country and abroad, in specialized funeral vehicles. Death notices could be printed at 24-hour Call Centre and in WU Morgue. 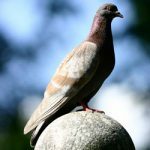 A request for placing an urn may be exclusively submitted by the person who submitted the request for cremation of the remains. Exhumations are done in the period from 1 October to 30 April. 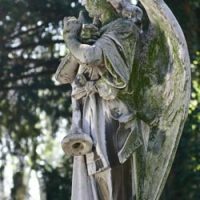 We wish to appeal to the visitors of the cemeteries to be careful when visiting the burial sites of their loved ones, and especially not to lean onto the headstones. In the course of the regular control of the headstones stability, our specialized teams had identified a number of old and inadequately built monuments, which are deteriorated, significantly unstable and therefore any leaning and mechanical pressure may instigate them to fall and cause injury to the general public. We particularly wish to warn parents with small children to closely monitor their movement, i.e. not to separate from them during the visit to the cemetery. 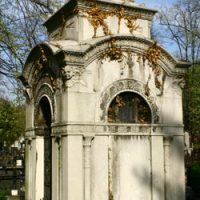 It is important to mention that the children under the age of 10 are not allowed to enter the cemetery without the adult supervision. If you notice any danger from potential fall of a headstone, please inform the Cemetery Management immediately. Additionally, we wish to remind you that according to the Article 10 of the Decision on Cemeteries Organization, Maintenance and Burials: „The care of burial sites and headstones is an exclusive obligation of the users, family and friends of the deceased. “ We are urging the owners of the unstable headstones to contact the respective Cemetery Management as soon as possible, for the purpose of arranging for the headstones rehabilitation. 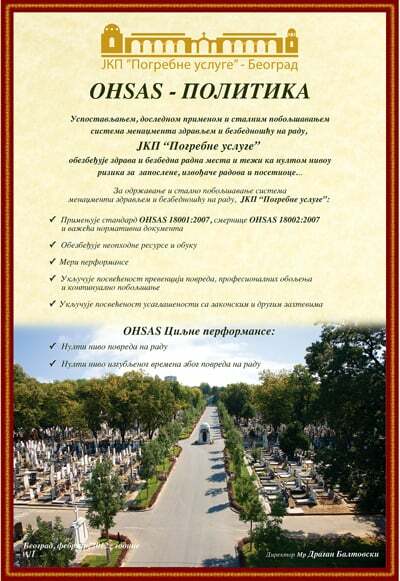 In order to upgrade regulation and maintenance of our cemeteries, Public Utility Company „Funeral Services” is offering durable solution for enhancing stability and safety of the headstones, in addition to the burial sites maintenance. 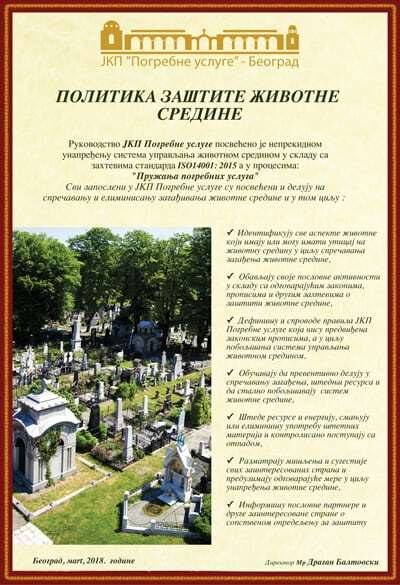 The right to use holder of the grave site is entitled to choose a contractor to perform any placements, repairs and removals of the headstones, in addition to all other items located on each grave site, at the following Belgrade cemeteries: New Cemetery, Central Cemetery, Topčider Cemetery, Banjica Cemetery, Lešće Cemetery, Zemun Cemetery, New and Old Bežanija Cemetaries, Orlovača Cemetery and Zbeg Cemetery, i.e. 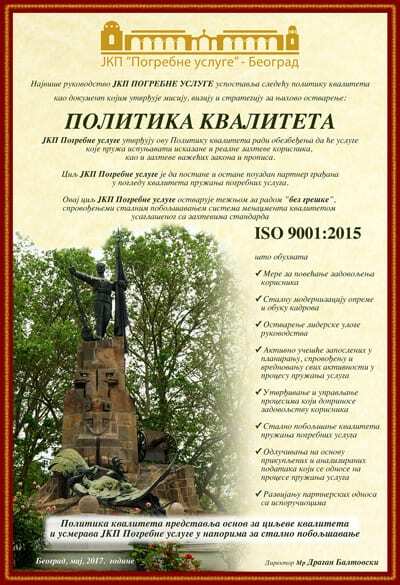 the competitors (stone masonry workshops and other businesses registered for this type of business activity), shall have equal right as the Public Utility Company „Funeral Services“ – Belgrade – in terms of performing any placements, repairs and removals of the headstones, in addition to other items located on each grave site at the above mentioned cemeteries, to be acquired depending on the contractor the grave site right-to-use holder decides to engage.